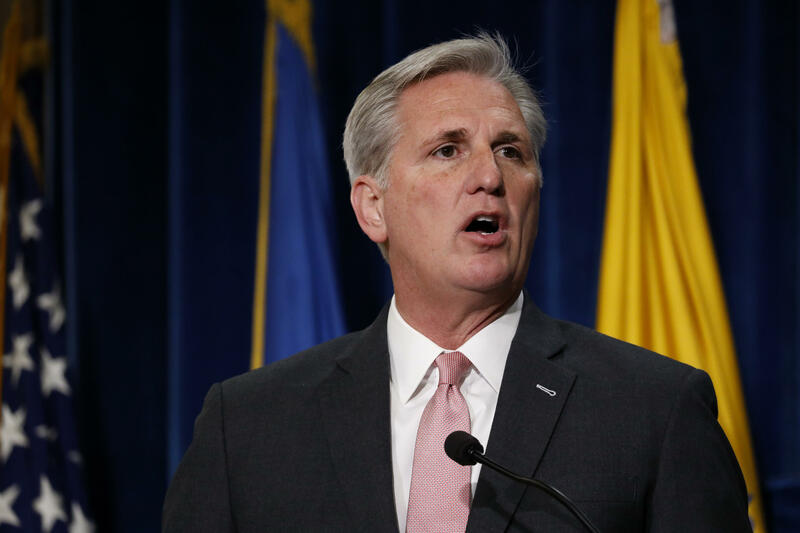 House Majority Leader Kevin McCarthy posted a picture Monday evening on social media of a boulder thrown through a window into his office in California, saying he was seeking the identity of two men who vandalized the Bakersfield office. In a post on his Instagram account, McCarthy showed pictures of the two men he says were responsible as well as a shot of the damage. "Does anyone know these two guys? They threw a boulder thru our office window and took office equipment," McCarthy wrote. McCarthy, the No. 2 ranking Republican in the House of Representatives, is seeking to replace Speaker Paul Ryan, who is stepping down at the end of this term. Does anyone know these two guys? They threw a boulder thru our office window and took office equipment.